During his high profile trial, he expressed remorse about his actions. Now serving six years in prison for sexual activity with a minor, Johnson has bragged himself into serious trouble with other inmates. A loose mouth in a notorious part of the jail. 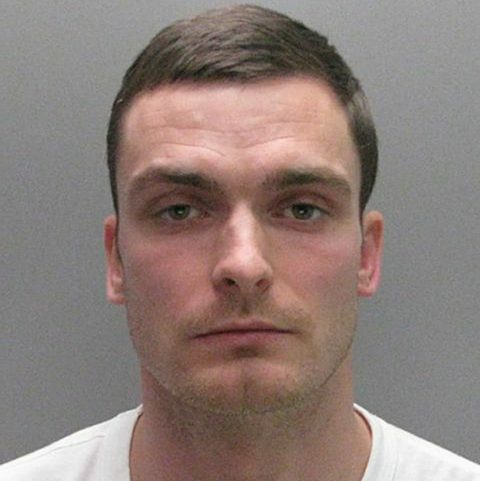 Disgraced footballer Adam Johnson has been moved to a segregation unit within HMP Moorland amid fears that he may be attacked after telling inmates he ‘wished he raped his victim’. A far cry from his remorse filled plea during his court trial. Caught Red handed. The 29-year-old was caught on camera by what appears to be another inmate, ranting about his sentence. In a highly dangerous section of the jail, he is currently serving a six-year prison sentence after he was convicted of sexual activity with an underage girl. Johnson better learn to keep his mouth shut— he still has 5 years to go on his sentence.